The Jozi Stars will meet the Cape Town Blitz in the inaugural Mzansi Super League final on Sunday after their eliminator against the Paarl Rocks was abandoned due to rain in Johannesburg on Friday. With a tight schedule and no reserve day in place, the hosts qualified for the decider at PPC Newlands by virtue of ending above the visitors on the final regular-season table. Jozi finished second with 29 points, while Paarl ended in third spot on 22 points and now bow out of the competition. 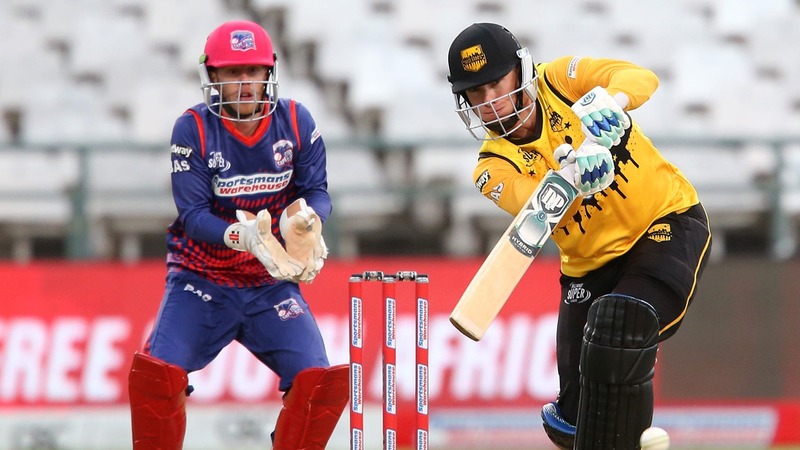 Both teams were expected to go full tilt into the highly-anticipated play-off clash at the Bidvest Wanderers Stadium, but never got to play after heavy Highveld showers arrived shortly after the toss took place. Despite waiting for as long as they could, umpires Allahudien Paleker and Bongani Jele were left little choice by the inclement weather but to call off the game. Sunday’s finale will begin at 15h30. © Copyright Mzansi Super League 2018. All Rights Reserved.